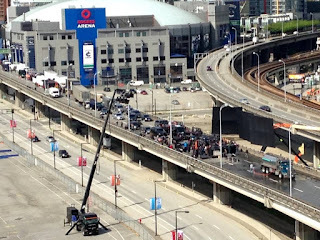 Vancouver Georgia viaducts and Skytrain tracks in Skyscraper movie. The viaducts are expected to be demolished by the city of Vancouver in favor of new roads. 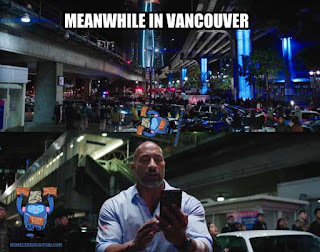 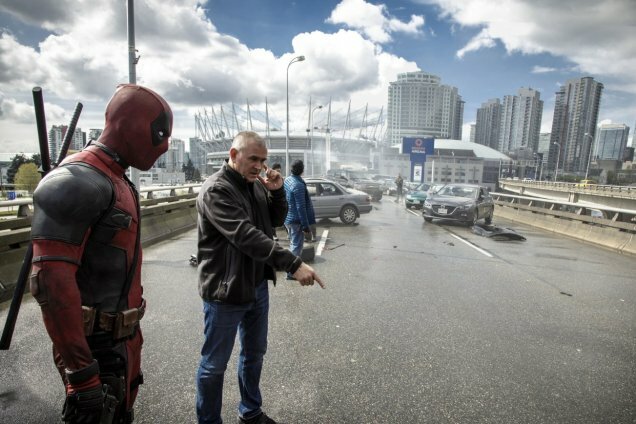 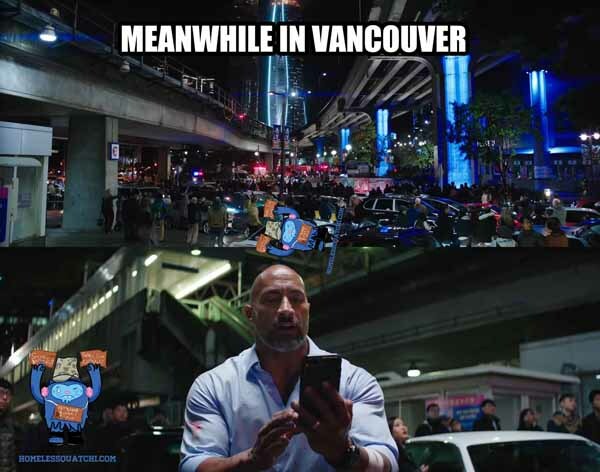 Also seen The X-Files, in Deadpool and many other productions in Vancouver.